The Emilia-Romagna region is just north of Tuscany in north-central Italy. Cleto Chiarli founded a winery in the region in the province of Modena in 1860. Chiarli made Lambrusco, and the Cleto Chiarli vineyards still produce Grassparossa and other varietals used in the production of Lambrusco to this day. 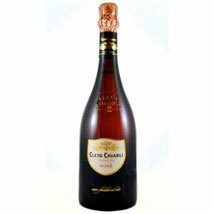 The Cleto Chiarli Brut de Noir is a remarkable blend of Grassparossa and Pinot Noir. Clearly not a white wine, this is still a fantastic choice for spring, with a burst of strawberry and mint flavors. The Cleto Chiarli is light, crisp, and absolutely refreshing. Works well with light fare or just for sipping. About $20.